All my life I’ve been enthralled with the movies. When I was a little girl living in Taiwan, about the only air conditioned building on the island was the movie theater. So we went to it regularly. The first movie I ever saw was “King Kong.” I saw it lots and lots of times, because it played for almost a year before it got replaced by something about an island with an exploding volcano. I loved them both. When I got older I was an avid consumer of fan magazines like Photoplay and Modern Screen, and even believed all the things I read in them! When they had an article about how Elizabeth Taylor’s favorite ice cream flavor was lime, I solemnly believed it was true. My innocence gradually faded away but my fascination with movies, movie making, movie stars, and Hollywood never did. 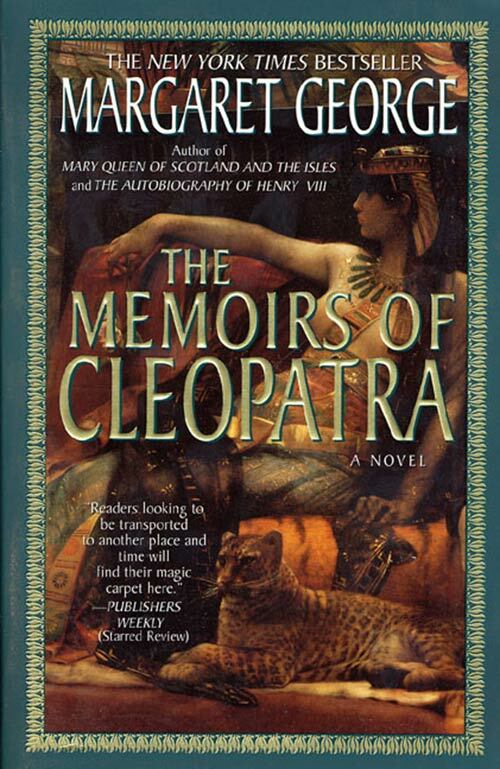 So when my novel The Memoirs of Cleopatra was slated to be turned into an ABC-TV miniseries, nothing could have kept me away from the set. Jaded people advised me that being on a set was so boring, darling, because there’s all that standing around. But the people saying that probably never read Photoplay and thought about what flavor ice cream Elizabeth Taylor liked. The miniseries was produced at the height of the miniseries fever sweeping all the big networks. 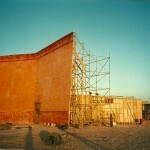 In short order, “The Odyssey”, “Gullliver’s Travels”, “Joan of Arc” and “Noah’s Ark” were offered up. It was right before the dark curtain of reality shows snuffed out such fare. 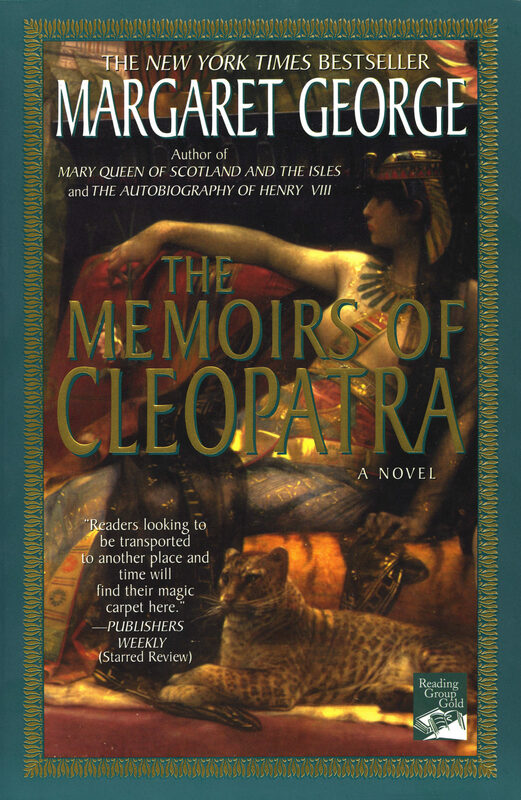 This one was to be titled simply “Cleopatra” and was to be 4 hours long, shown in the ratings sweep week in May. 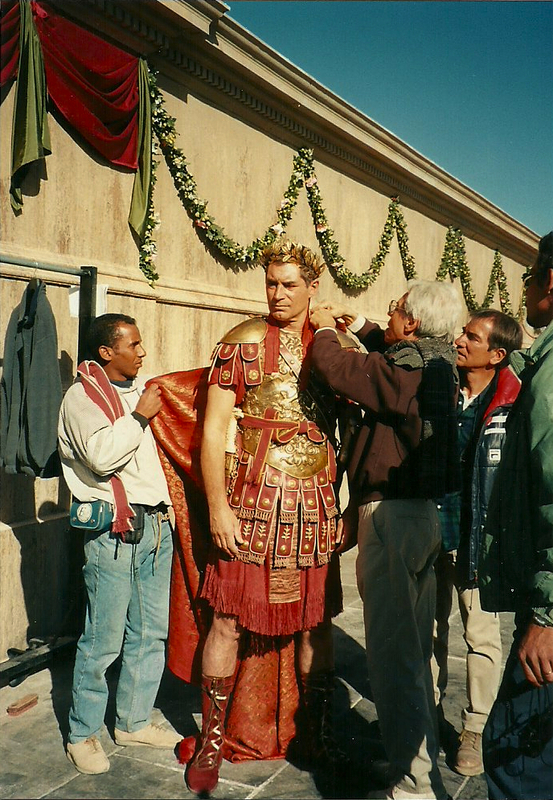 Timothy Dalton would play Caesar, Billy Zane Marc Antony, and Leonor Varela, Cleopatra. Background information can be found on wikipedia. 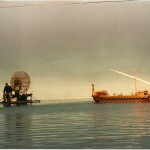 The outside shots were to be done in Morocco and the interiors in Shepperton Studios in London. The director and the company were British. From my standpoint, that was great, because U.S. union rules don’t allow any photography on film sets, whereas the British do. So I could take all the photos I wanted. 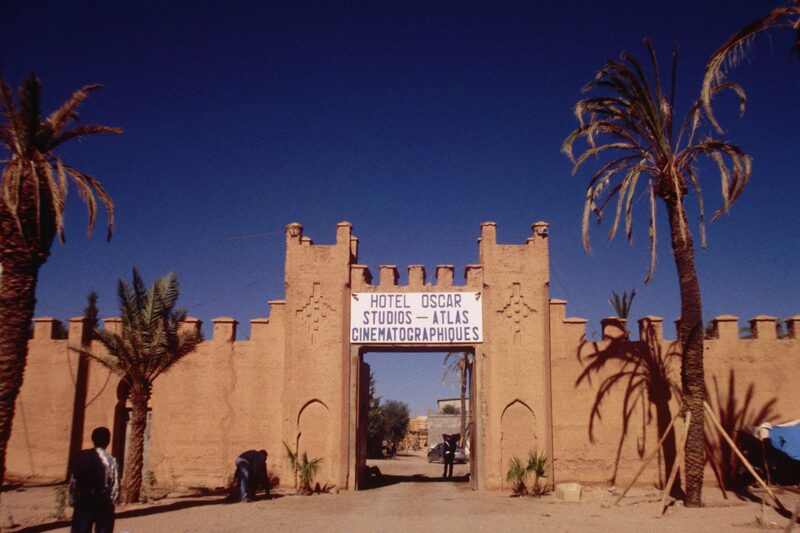 The studio in Morocco in is Ouarzazate and has been used for many films, including parts of Lawrence of Arabia. 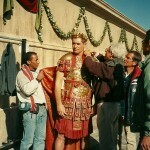 As the author of the book the film was based on, I was made to feel very welcome and allowed to watch the filming, while they graciously explained the techniques. 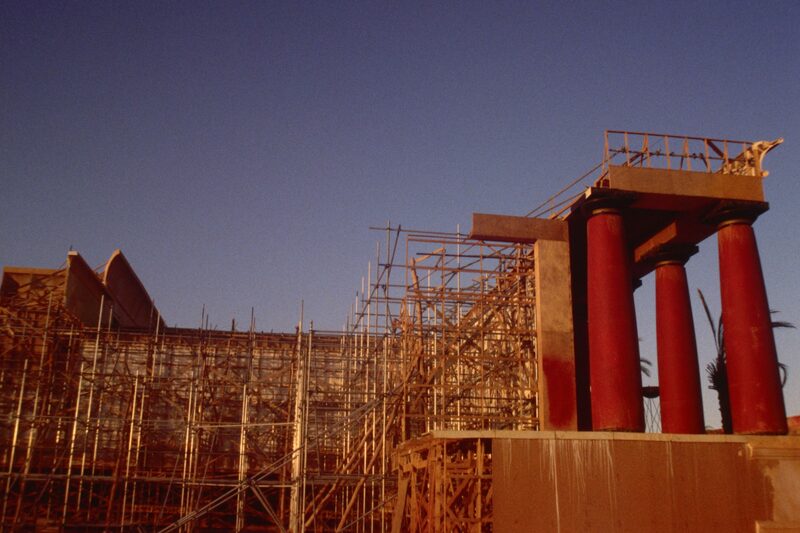 The sets were absolutely huge—they covered some quarter of a mile, and looked very real, until you saw the scaffolding behind them. 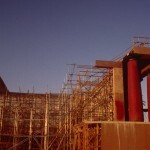 I saw Caesar’s assassination scene being filmed. 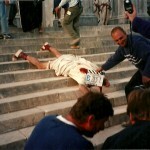 It was shot in 3 sequences, with 3 different togas with varying amounts of blood stains. 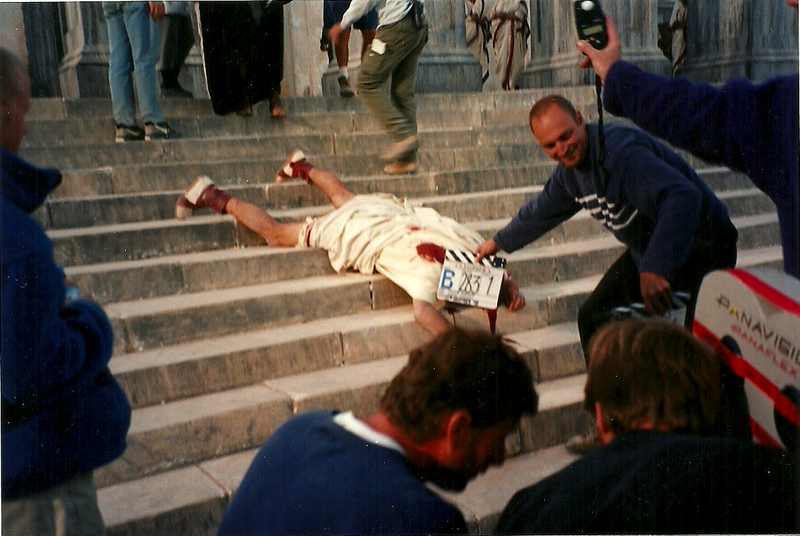 In the final scene, when he rolled down the steps, Timothy Dalton did all his own takes. 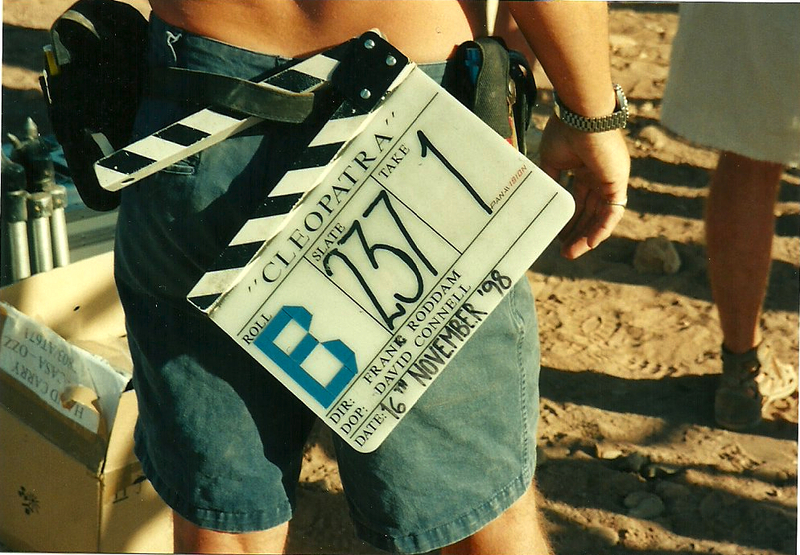 Outdoor filming in the desert, action scenes, were fun to watch. Here is the scene where Antony realizes he’s beaten but calls to fight anyway. The cameraman is holding a type of camera called a Steadicam strapped to his waist that lets him move but keeps the filming steady. 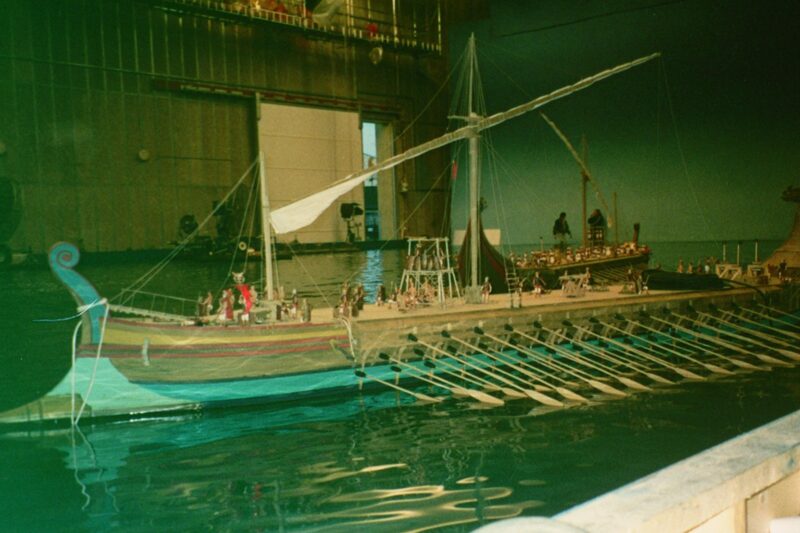 For the great sea battle of Actium scene, they used a huge tank at Shepperton. The flagship, shown in these shots was a magnificent 20 foot vessel. 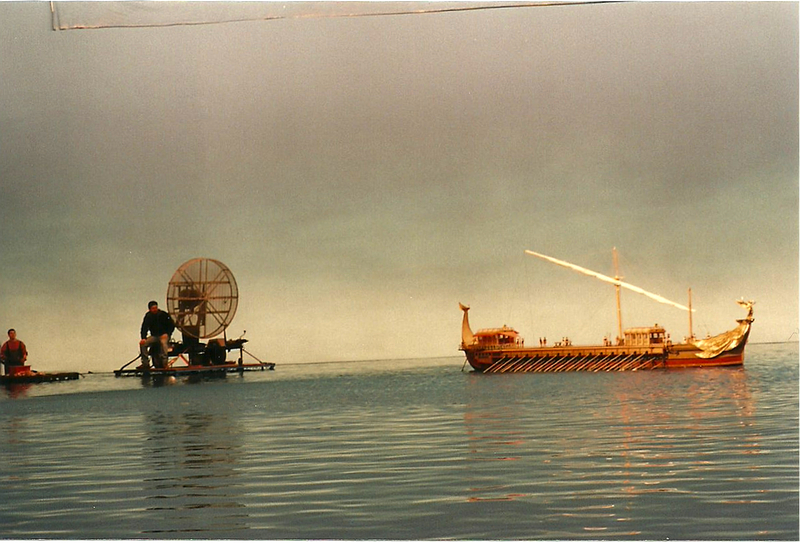 The wind machine was used to create ripples and waves, but they would have to be slowed to 1/3 the time to make them look like ocean waves. 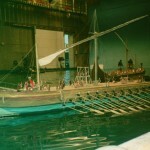 After the filming, they sent me a small ship as a memento, one of the ones that got burnt or sunk in the sea battle scene. Finally, there was actually an old-style premier in Hollywood at the newly renovated Egyptian Theater. It was even located on Hollywood Boulevard! And I stayed at the Roosevelt Hotel nearby, where the first—1929—Academy Awards ceremony was held. How much more Hollywood could I get? Now it all seems like a dream, but the ship and the photos prove it really happened. Filming board. 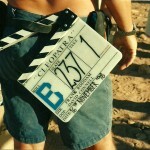 Yes, they really do say ‘action’ and clap this board. 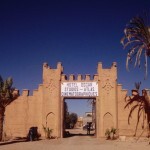 The entrance to the Moroccan studio. 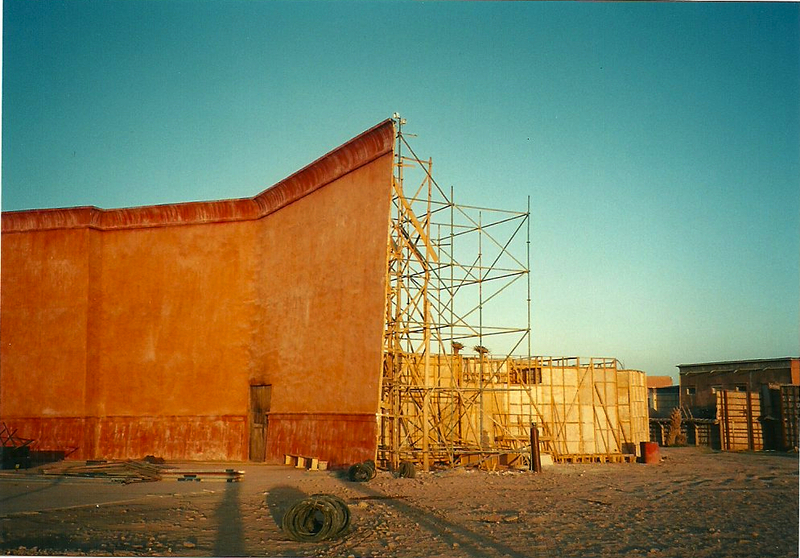 They had to construct little rails for the camera to glide along when filming in the desert. 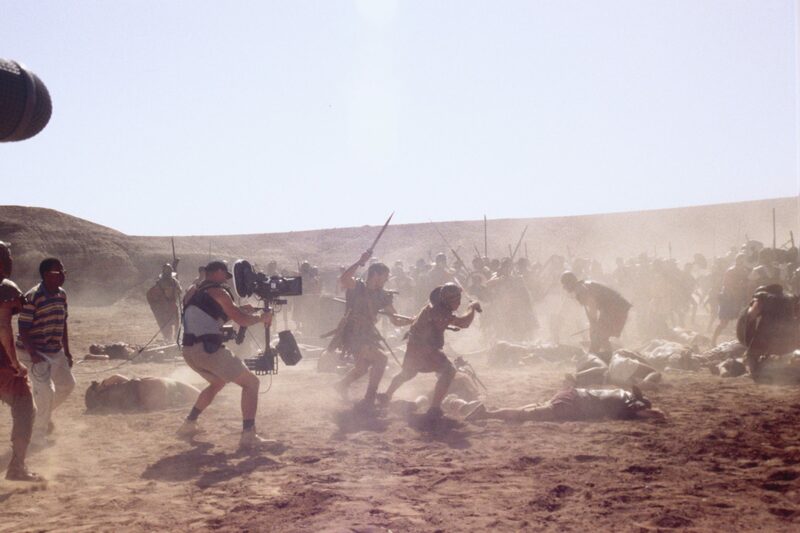 Filming battle scene in the desert. 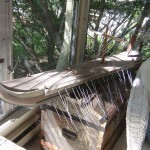 The wind machine and the flagship. This shows the scale of the enormous tank. 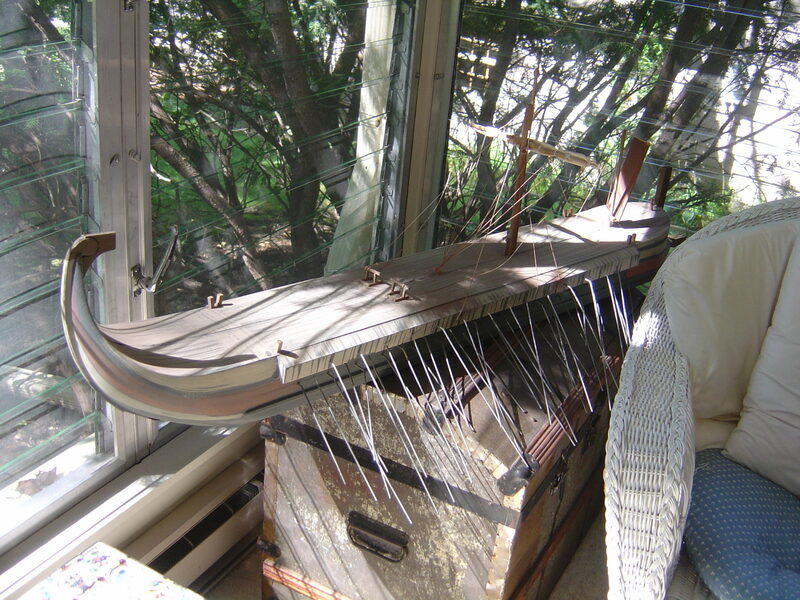 Here the ship resides on my sunporch. 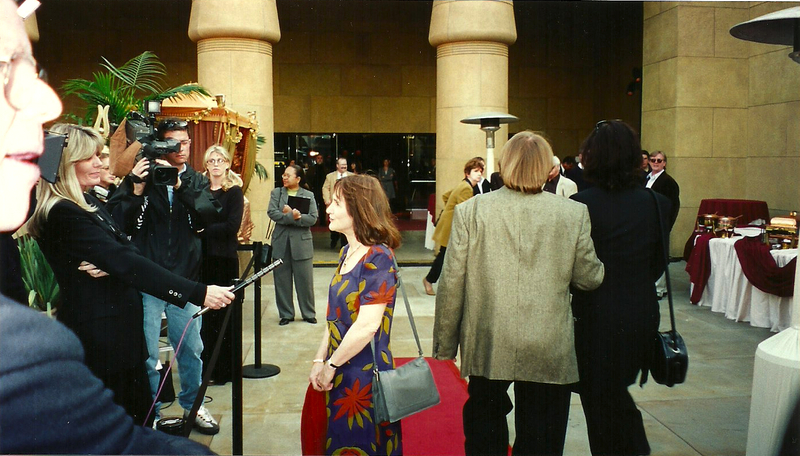 Being interviewed out in front of the theater before the preview. 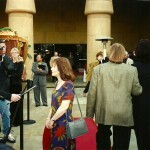 The director, with dark glasses, is leaning against the wall in the far right, background.